In 2013, Toronto City Council passed a motion making Toronto the first “sanctuary city” in Canada. “Sanctuary cities” seek to ensure that all residents access essential social services without regard to “legal” status. 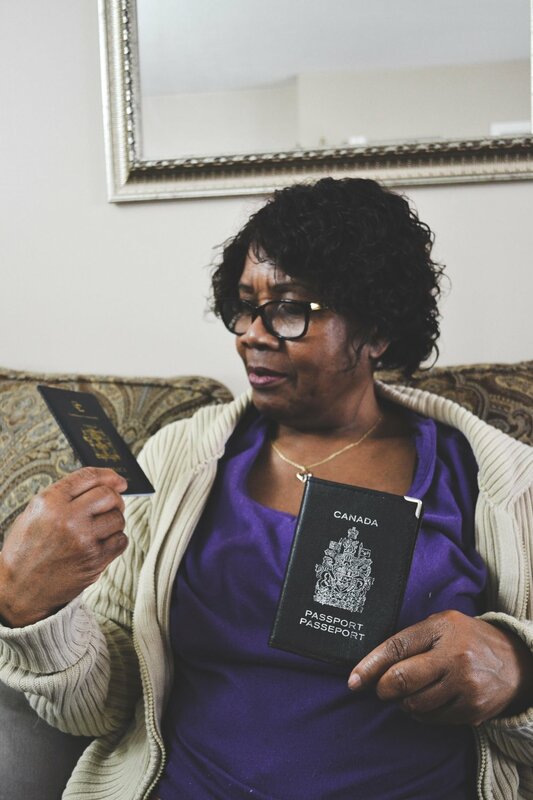 Yet in 2015, a press release by No One Is Illegal revealed that through carding, Toronto Police are continuously colluding with the Canadian Border Services Agency and policing movement in the city. Way Past Kennedy Road’s Sanctuary Inter/rupted (at Xpace Cultural Centre) interrogates the possibilities and contradictions of a “sanctuary city” in the context of what we know to be true: that the state always already treats non-white bodies as “illegal”, “whether they possess documents or not.” Through photography, sound, mixed media, and video installations, the artists consider the complex dynamics tied to ‘legal’ and ‘illegal’ identities, extending a conversation on understandings of belonging/(un)belonging in Toronto. Each artists’ work is accompanied by a song or sound-bite uniquely chosen by them, presenting audio-visual inquiry into questions related to diaspora, migration, colonialism and the histories/futures of racial justice. Ayesha Siddiqi speaks to the ways that, “every border implies the violence of its maintenance.” We are interested in extending this understanding in the context of borderlands, highlighting the ways in which every border also implies the violence of its formation. Through poetry and prose, Gloria Anzaldua’s* La Frontera/Borderlands describes the border as a dividing line where the “prohibited and forbidden are its inhabitants.” This deeply spatialized understanding of borders is the starting point from which we trace the patterned and produced nature of illegalization as “state violence inscribed in landscape” and mapped onto the body. It is this mapping/(un)mapping we are interested in addressing, as we highlight the interplay of belonging/(un)belonging and status/statusless-ness in Toronto, particularly in the context of white settler colonial imaginaries that continue to dominate the mainstream. ‘EAST’: A Relationship (2018) by Noor Khan is a short film about how an individual's relationship with land shapes the relationships that she has with other people. The logo reads, 'EAST' alif / ya / seen / tah, in Arabic kulfic script. EAST, is where she comes from, the Middle East & South Asia, and it is also her location in relation to Toronto, i.e. Scarborough. These relationships have shaped her social standing, and social community. Noor Khan’s original film and accompanying digitally manipulated photographs document her relationship with land, race, gender, and health as related to building love and community. The interactive piece invites Muslim-identified audiences to take pictures against the backdrop of 9/11, known and felt deeply as the continuation of violence against generations of Muslims “with and in North America.” Khan is thinking through what it means to be #stillhere, building and caring for each other’s physical and mental well-beings, despite and/or because of imperial and colonial violences. Samira Warsame’s photography series, A Search for Hooyo, also looks at what it means to take care of each other in ways no one else would or could. Warsame states that, “as children of Somali refugees, our blackness, Muslim-ness, Somali-ness, and Western identities are blended together, misunderstood, ignored and left out of communities and conversations that we are meant to be a part of.” Warsame’s multiscalar work is accompanied by the “smell of uunsi and the sound of qaraami music,” extending beyond photographs and taking on physical space. 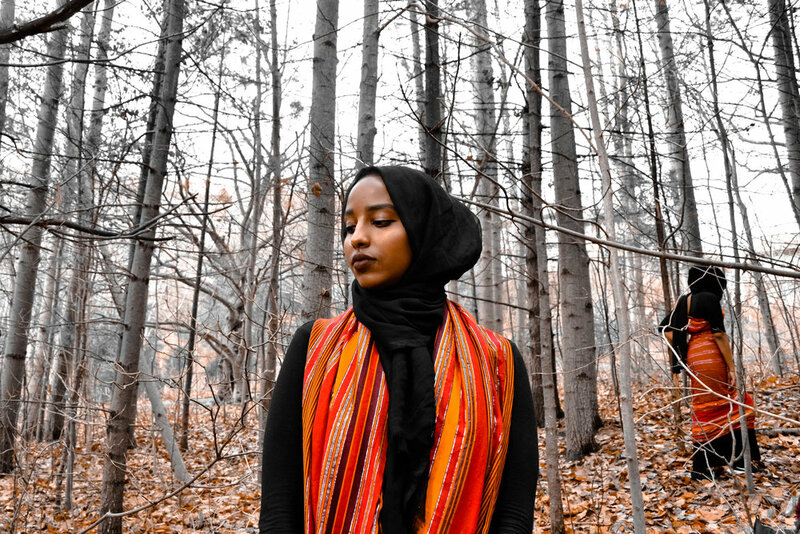 By interweaving experiences of displacement and (un)belongings, she recites a love letter to her Somali sisters of Toronto’s diaspora, appreciating the homes they have found in each other. Amani Bin Shikhan thinks through the foreignness of an ability to fully conceptualize loss, death and spaces through which refuge is found. 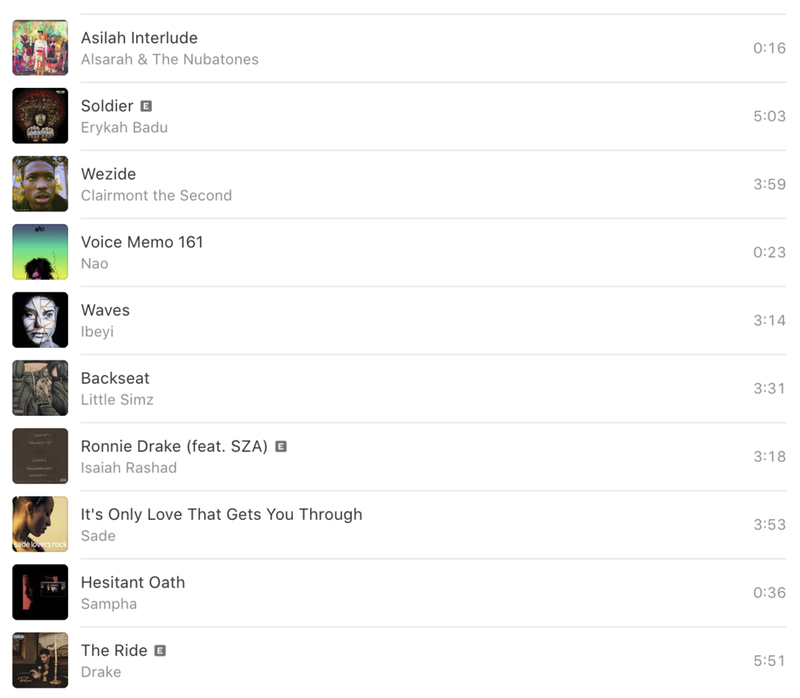 In Track 6 of Bin Shikhan’s playlist, Naomi Diaz of Ibeyi says, “My blood, my eyes/My guide, my spine.” Guided by cultures, structures, people of the African diaspora and their/our livelihood, Bin Shikhan thinks through the intricate landscapes of lateral violence toward Black people and “something about cherishing the moments, people and places that build a life; something about better finales to stalled starts.” Accompanied by cassettes illustrated by Mississauga's Very Own Hamda Warsame (aka @hamwarz), Bin Shikhan’s playlist reflects “the portable refuge” she has built for herself. 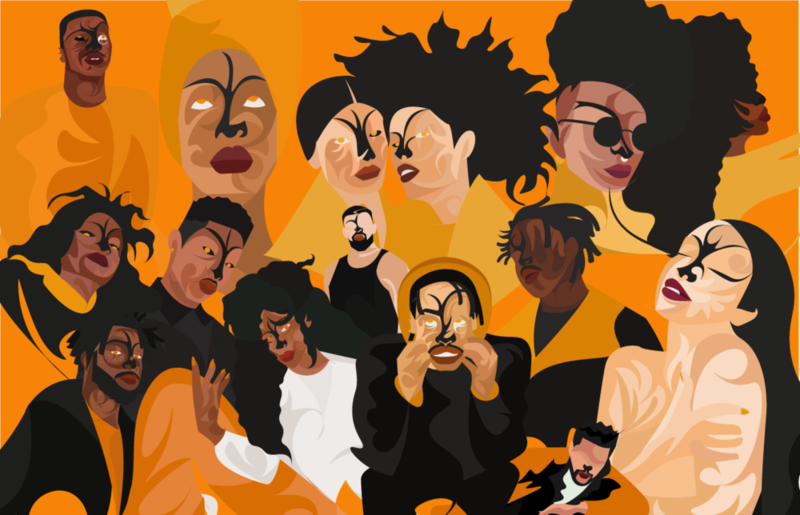 Way Past Kennedy Road is a collective of multidisciplinary emerging artists based in Scarborough and other rejected but resilient corners of the Greater Toronto Area (GTA). We build spaces for ourselves both online and offline and use art as a means of resisting the borders, boundaries, and (un)belongings that define each of our lives and our works in distinct ways. Sanctuary Inter/rupted is a continuation of this work. In the timeless classic “Energy”, Aubrey “Drake” Graham reminds us that he has, “real ones livin’ past Kennedy Road.” While Drake may be referring to taking the 401 east past Kennedy Road “and exiting at Markham Road in the east end…”, we are interested in disorienting the idea of any centre and reaffirming the brilliance of discredited communities across the city. This reaffirmation is also captured in our graphic material, a postcard of a Scarborough plaza in all its full-set-of-stiletto-acrylics nail salon and halal butcher glory. Postcards capture places that are monumental. In playing on a vintage style postcard, Sahar Ullah’s imagery reimagines the monumental, paying tribute to the places (past Kennedy Road) that are monumentally meaningful to our communities. By obscuring sanctuary city legislation as related to everyday illegalizations across the city, Sanctuary Inter/rupted pays tribute to the ways people and places redefine sanctuary. In grounding our conversations on illegalization in the ways that Black and Indigenous people face distinct forms of violence including "disproportionate incarceration, susceptibility to police violence, poverty, and targeted child welfare removal”, we are better equipped to expand the ways racial justice is practiced. This digital exhibit is Inspired by the innovative use of images as Footnotes used here.